The diver was a 48-year-old male with four years of diving experience and 10 dives in the previous month. His medical history included hypertension and gastroesopha-geal reflux disease (GERD) that were controlled by medications. He used a prescription sleeping pill as needed. The diver was on a trip to a popular Hawaiian island. About 10 minutes into his first dive he had a regulator failure in which his mouthpiece came apart from his second stage. He thought the second stage was still in his mouth — though only the mouthpiece remained — so when he realized he couldn't breathe he assumed the first stage had malfunctioned. He had just finished exhaling and was ready to take another breath. He began to panic because he did not think anyone was close enough to share air with him, and he found himself fighting the temptation to inhale water. He was without air for about 25 seconds before he remembered he had a spare air cylinder. He took two or three breaths from it before he was able to reach his buddy's spare second stage. The diver had just had his regulator serviced, and this was his first dive with it since then. He was fortunate to have purchased the spare air a year earlier; things could have been much worse. He was an emergency-room physician and knew the consequences of being unprepared. The diver was "shell-shocked after the event and since the event" as he dealt with the aftereffects. He had trouble sleeping due to nightmares and had flashbacks of running out of air. The diver experienced a fairly minor equipment failure in the unexpected separation of his mouthpiece from his second stage. The regulator had a proprietary mouthpiece clamp with a cam latch, and upon reflection he supposed the clamp was not replaced after the service. A manufacturer's representative told me, "It is time-proven, and we have no known issues with it." A dive shop service technician told me that his shop usually just uses a zip tie to secure the mouthpieces to the second stages as the last step in servicing a regulator. It is possible that either the clamp was not properly buckled or the technician neglected to engage the cam latch at all. If the mouthpiece was not securely fastened to the second stage of the regulator, then a forceful or quick head movement may have pulled the regulator hose hard enough to dislodge the mouthpiece from the second stage. If the mouthpiece was loosely attached to the regulator it's also possible it was breathing wet. This might have prompted a forceful exhalation to clear it that dislodged the mouthpiece completely. It seems unlikely that a normal exhalation would have caused the separation since he had already been diving with it for about 10 minutes without a problem. When divers pick up their equipment after it's been serviced, they should inspect it and review the service with the technician who did the work. If this diver had inspected his regulator he might have noticed that the mouthpiece was not properly fastened to the second stage. The first adverse event the diver experienced was an apparent equipment failure. His first- and second-stage regulators were presumably still functioning. He did not attempt to breathe directly from the second stage without a mouthpiece, nor did he attempt to breathe from his alternate second stage, assuming he had one. In a study of more than 12,000 recreational divers in 2000, about 40 percent of male divers and 33 percent of female divers reported having a problem with a regulator leak or free flow sometime during their dive career.1 However, only 5 percent of male divers and 3 percent of female divers related their first experience of underwater panic to it. Separation of the mouthpiece from the second stage was not specifically surveyed. The diver incorrectly thought his first-stage regulator had failed and jumped to the conclusion that he was out of air. The survey also found that 40 percent of male divers and 27 percent of female divers reported being "low on air or out of air" sometime during their dive career. However, only 18 percent of males and 7 percent of females related their first panic experience in diving to that experience. 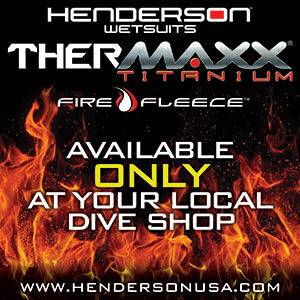 DAN has reported approximately 41 percent of divers in fatal dives had run out of breathing gas. While running out of air can be fatal, most divers handle being low on or out of air without incident. The second adverse event that occurred was the separation of the diver from his buddy. He did not think other divers were close enough to give him air as quickly as he needed it. Because his dive buddy was not within touching distance, the diver was effectively diving solo. Spare air was a poor substitute for a dive buddy who could have immediately offered a functioning regulator and helped him calm down. The diver's report of being "shell-shocked after the event and since the event" suggests post-traumatic stress disorder (PTSD). He faced the threat of death or serious injury and has persistently re-experienced the event in traumatic nightmares. He has also avoided potentially distressing stimuli after the event: He has not sought professional help because he has been "too busy," and he has presumably not dived since the incident. He also experiences persistent negative trauma-related emotions and has demonstrated negative alterations in cognition and mood with persistent distorted blame of others (e.g., the regulator service technician) for causing the traumatic event. His signs and symptoms are below the threshold for a diagnosis of PTSD, but they are still quite distressing to him and warrant help — whether he wishes to resume diving or not. Over the years I have helped divers with problems such as these by working with them in the water or by telephone or email using cognitive behavioral therapy. The therapy includes instruction in diaphragmatic breathing for relaxation (available for free on DivePsych.com) and progressive in-vivo exposure and response prevention. Typically, traumatized divers avoid dealing with this type of problem until circumstances motivate them to tackle it so they can resume diving. Others abandon scuba diving and take up snorkeling or other activities they find less anxiety provoking. 1. Colvard DF, Colvard LY. A study of panic in recreational divers. The Undersea Journal, 2003; Q1: 40-44. The diver featured in this article was shooting video at the time the incident occurred. Watch the video.